One million Anzac coins have been minted and will be released to coincide with the 100th anniversary of the landing of Anzac troops at Gallipoli. This number represents the size of the New Zealand population in 1914, of which 10 percent served in the First World War. The coin was coloured using a revolutionary high-speed pad printing solution, developed by the Royal Canadian Mint and technology partner TECA. Capable of producing circulation coins with vibrant, photo-quality images, in multiple varieties and blends of colour, and with superior wear resistance, this unique technology is exclusive to the Royal Canadian Mint. One million Anzac coins have been minted to coincide with the 100th anniversary of Gallipoli. This number represents the size of the New Zealand population in 1914, of which 10 percent served in the First World War. 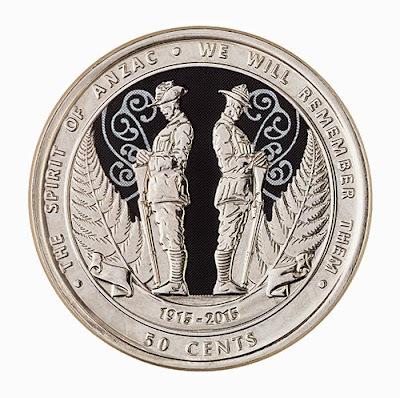 New Zealand Post Group is coordinating the release and distribution of Anzac coins. Coins can be purchased at PostShop or Kiwibank branches, or via NZ Post’s website. 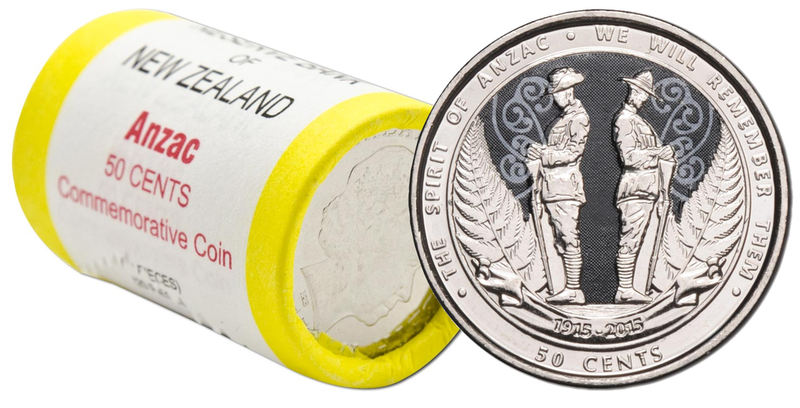 For more information about the Anzac coin and other comemmorative coins available as part of New Zealand Post’s five-year Anzac commemorative stamp and coin programme, see www.nzpost.co.nz. The Reserve Bank of New Zealand does not have Anzac coins available for distribution. Design: The Anzac coin design features a New Zealand and Australian soldier standing back to back with their heads bowed in remembrance. The mangopare (hammerhead shark) pattern symbolises strength and determination, and the silver fern reflects New Zealand’s national identity. The Reserve Bank of New Zealand has prepared an Anzac Coin Fact Sheet explaining how the coin is made and detailing its specifications.